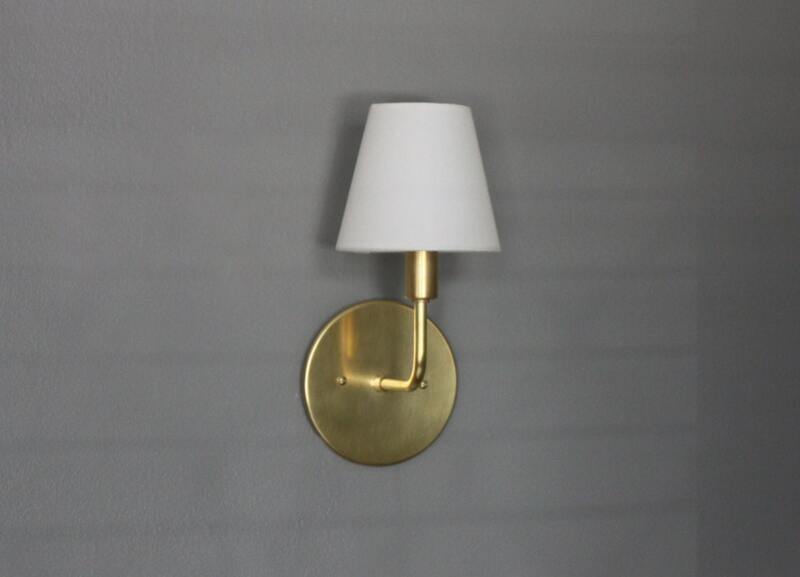 There is strength in simplicity, as is evidenced by this restrained and powerful brass sconce. Modern lines and elegant proportions are the hallmark of our hand-crafted lighting, which will develop a rich patina with age and love. 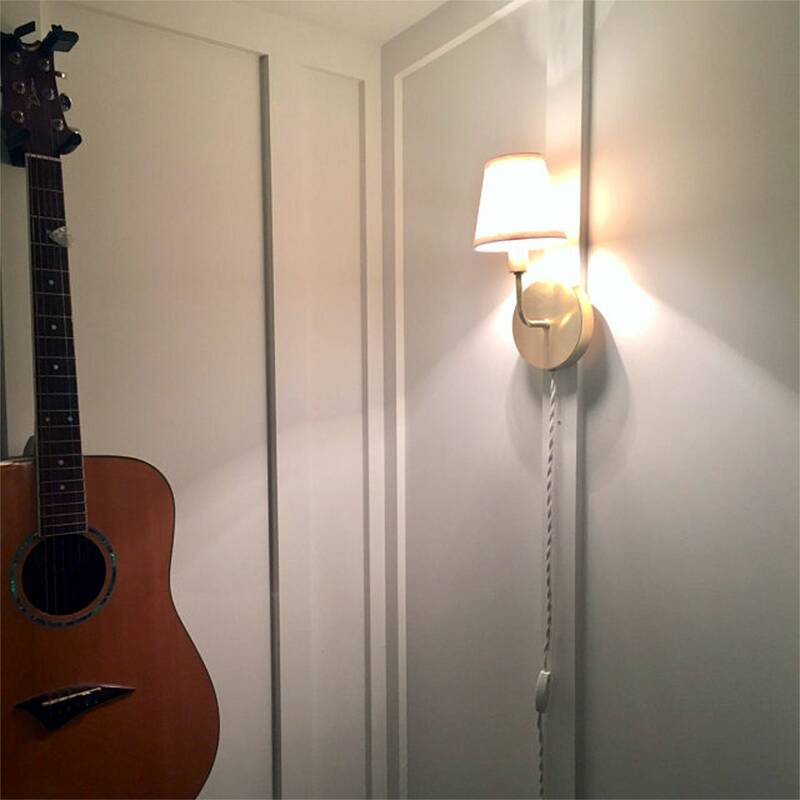 - Soft-wire (plug-in) version includes wall-mounting hardware, an 8' white fabric twist cord with bakelite plug, and an in-line switch located on the wire about 18" below the fixture. Soft-wire backplate is a little deeper to allow for the cord escape. 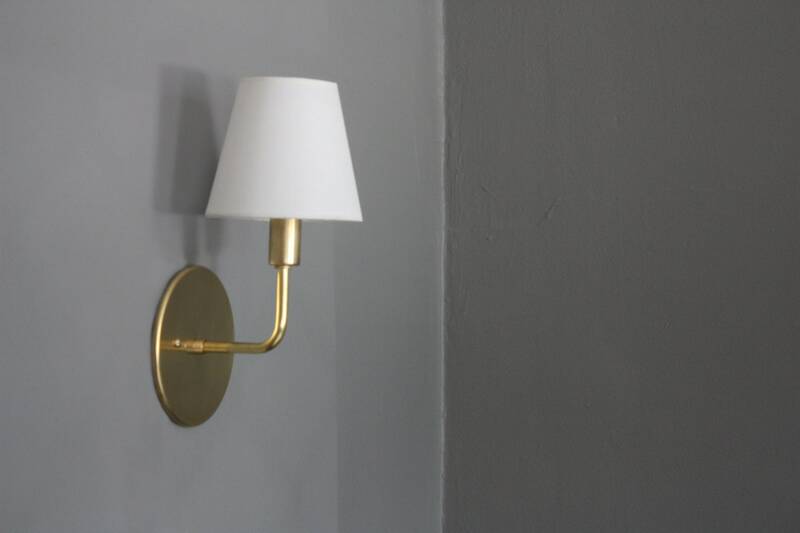 I absolutely love these sconces. It’s hard to find nice looking plug-ins in this style, and these are great quality. Shipping was a bit delayed but the owner was very helpful and communicative, so it wasn’t a problem at all. Installation is extremely easy. I love the warm glow they cast in the evening! Looks neat & well-made. Thank you! Beautiful! Excellent! Love it!!! Thank you! Such beautiful and delicate sconces. I am very pleased! Thank you!